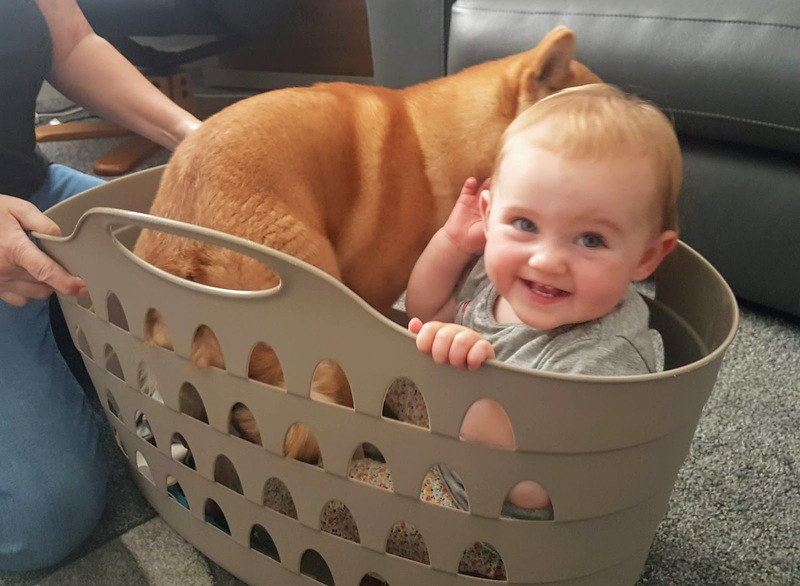 Puppy + Child + Wash Basket = Too Much Cute. Iris loves dogs. One of her first words was doggy and whilst she hasn't managed many other words yet she can bark fluently. She also growls...at strangers....it gets a little awkward! This little pup is Indy and she belongs to Iris's uncle. They are quickly becoming best friends (though Ian will always be top dog). They love to play together and can often be found causing trouble in the garden. Indy has a long way to go in regards to training and is very much still at that nippy puppy stage but for some reason she is incredibly gentle with Iris. I love that Iris is surrounded by animals and gets to learn how to be gentle and respect boundaries whilst enjoying lots of fun and giggles.